Babies love to play outdoors. 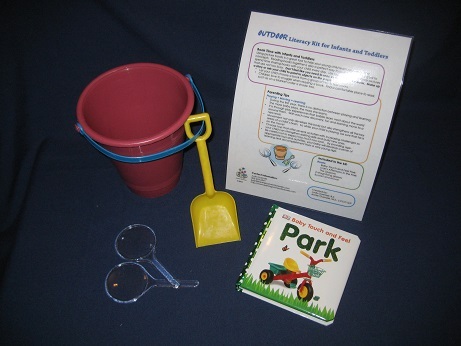 This parent pack gives reading tips and parenting tips on the importance of moving and playing. 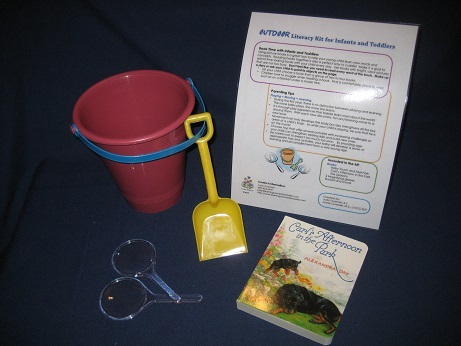 It also offers lots of suggestions on how what to do with the bucket, shovel, and two magnifying glasses that are included in this parent pack as well as other outdoor activities. 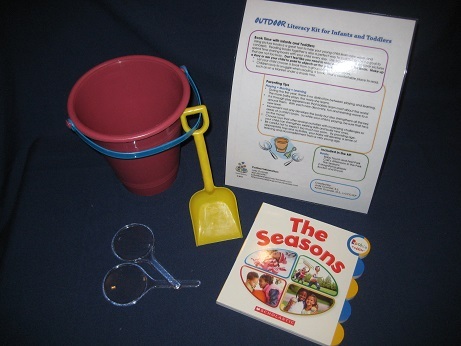 Included in the parent pack, along with the bucket, shovel, and magnifying glasses, is a two-sided guide and your choice of any one of three board books, Baby Touch and Feel Park, Carl’s Afternoon in the Park, and The Seasons, all housed in a clear, plastic, zippered pouch.